FOR IMMEDIATE RELEASE: Bangor, Maine (June 20, 2017) – New England Fights (NEF) returns to the Cross Insurance Center on Saturday night, August 5, 2017 with the fight promotion’s next mixed-martial-arts event, “NEF 30: Rumble in Bangor.” Earlier today, NEF announced the addition of a professional championship middleweight contest to the fight card. 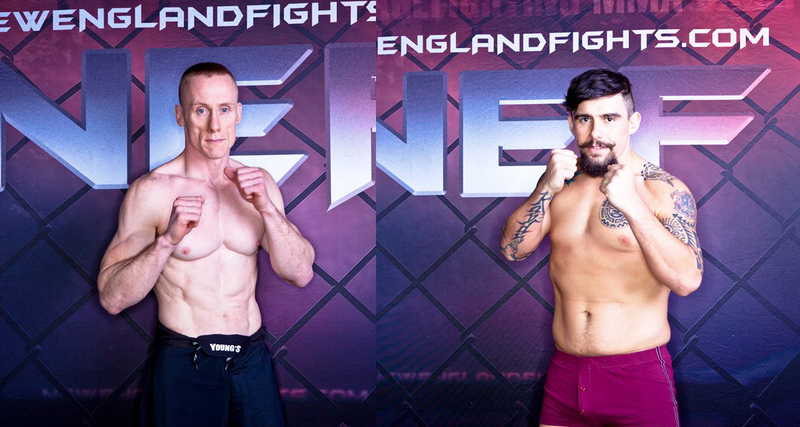 CJ Ewer (2-0) will take on Mike “The Mustache” Hansen (5-5) for the vacant NEF MMA Pro 185-pound championship. CJ Ewer serves as a member of the United States Air Force security forces. When not defending the nation overseas, Ewer trains at Young’s MMA in Bangor. He is an accomplished wrestler, with two Maine state high school championships and a New England district championship to his credit. Ewer wrestled under legendary coach Ted Reese while attending the University of Southern Maine (USM). Upon joining the MMA circuit, he put together a 5-2 record as an amateur prior to turning pro. Ewer’s last fight was one year ago to the day in Bangor at “NEF Presents Dana White: Lookin’ for a Fight.” He dropped Ruben Redman (0-1) with a highlight reel knockout that brought White and his web series co-stars to their feet at ringside. Mike Hansen, like CJ Ewer, proudly served his country. Hansen was a combat engineer in the United States Army before retiring from the service. Also like Ewer, Hansen comes from a wrestling background with a Maine state title earned during his time with Mountain Valley High School in Rumford, Maine. A founding member of team Berserkers MMA, Hansen has a reputation for taking on all comers. He has never backed down from a challenge, sometimes battling behemoths two weight classes larger than himself.